From 25th to 28th of August Mountain Wilderness Switzerland held the keepwild! climbing days for the 5th time. The event is a get-together of climbers with diverse levels of clean climbing experience. 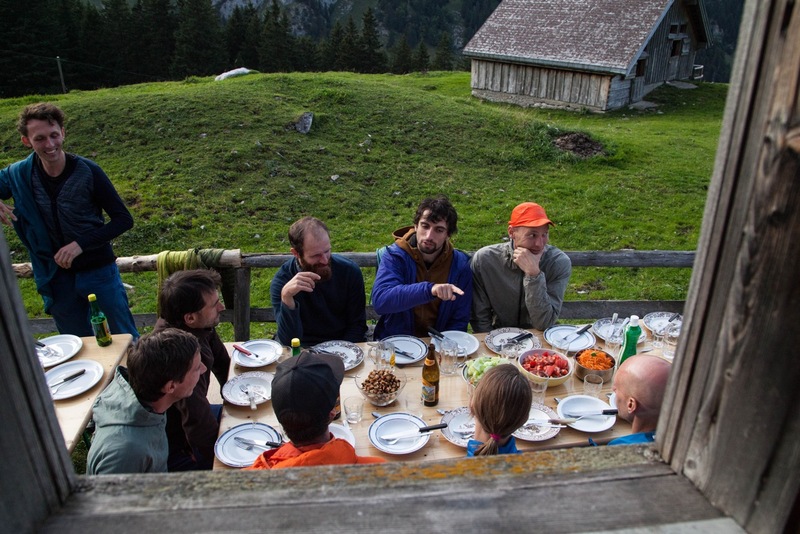 About 30 participant spent 3 nights in the beautiful Furgglenalp hut, in the Alpstein mountain range of East Switzerland. Besides clean-climbing workshops lead by professional climbing teachers and a mountain guide, the event offered a lot more: Great food by cook and climbing teacher Mirko Storm, a photo presentation by professional clean climber Silvan Schüpbach and the annual best picture contest were only a few of the highlights. Blessed with perfect wheather, we were able to spent most of our time outdoors, even the breakfasts and dinners. 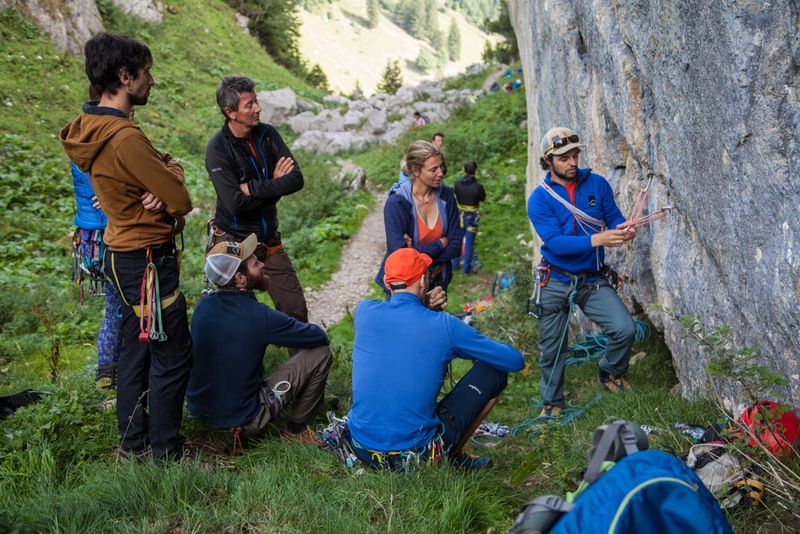 We climbed some classic routes in the legendary Kreuzberge, the Hundstein and other beautiful limestone formations just around the corner from our heavenly „basecamp”. Coming back from a climb and jumping into the chilly Fählensee (a lake) before enjoying an outdoor dinner with likeminded people – what could be better?! protection gear and to inspire them for the beauty of self-reliant climbing. By doing so, we hope to create a countermovement to the „bolt-everything“- mentality that is very present in some areas. There should be room for a diverse variation of climbing styles. Sport climbing is great, but so is clean climbing. Some places might need bolts, others can be perfectly climbed with mobile protection. We need this variety – It’s what makes our sport so great!